Warm lined winter parka made of high-quality wind and waterproof material with very good breathability. 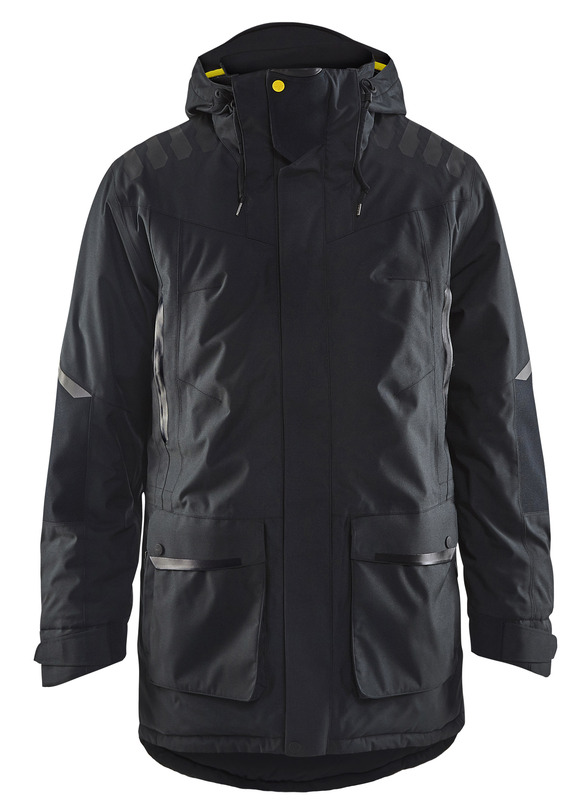 The jacket's lining is warm, yet lightweight, and made of recycled PET bottles. For optimal fit and comfort, the jacket has pre-bent arms, ventilation under the arms, and two-way zippers. 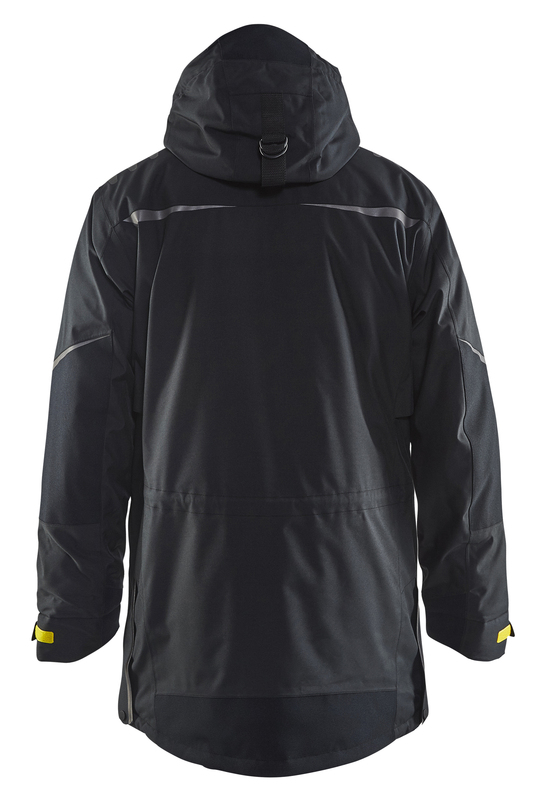 The list of technical features is long and includes taped seams, storm buttoning, windbreaks in the neck, wristlet with thumb holes, adjustable and removable hood, reinforcing print, discrete reflexes, fleece-lined pockets with bellows and snowlock. It simply has everything. Breathability of 20,000 g/m²/24h and a water column of 20,000 mm.